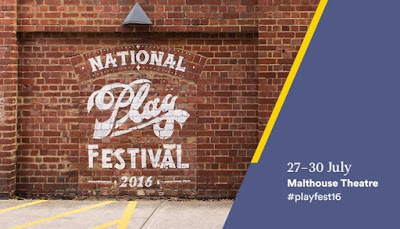 Over the last few days, I’ve been to the National PlayFestival – this year held in Melbourne at the Malthouse Theatre. The Festival presents readings of new work from writers at every stage of their careers and these public readings are part of the development process; writers get the chance to work with directors and dramaturgs on their scripts in the days before their work is presented in front of a paying audience. I was thrilled by the high level of quality work I heard over the past several days. New work by writers I already admire. New work by writers who have never written for the stage before. And the absolute highlight of the week, the selection of works from Playwriting Australia’s Lotus initiative – one that gives a voice to Asian writers in Australia. Really thrilling, provocative and hilarious works that excited me for the future of the Australian stage. These four days at the Festival, which included a masterclass with Michael Gow (no relation, but I’ve written about beingconfused for him before), have been really inspiring. Even this morning, I was at a 9:30 session, a series of talks by professional playwrights about their process of writing. Sometimes it’s nice to feel validated in the way I work; or to be prodded to try a new technique. I’m always eager to find new things to try. One panel that I thought might be dry was titled The Big Chill – A Survival Guide; it wasn’t at all dry, but very moving. It was inspired by recent funding cuts to the Australia Council and its onflow effect to the small-medium sector; how does a playwright survive a setback and what skills do they have to keep going? A panel of six writers spoke about their artistic practice and gave beautiful speeches about different problems they have faced and how they dealt with it. Jane Montgomery Griffiths talked about the importance of representation is on our stages. Chi Vu spoke about recycling what’s left over at the end of a piece she has made. Tom Holloway was elegant about the ways in which he is inarticulate. And then Van Badham stopped us all with a heart-rending story about her world being turned upside-down by the death of her father. Sometimes, it seems, there is no way to battle the obstacles you are up against. Sometimes, you have to find a new way to work and a new place to live. Out of all the things I heard presented this week, Van Badham’s story was the most dramatic. It shook me up. In the middle of this festival, in the middle of a chilly week in Melbourne, I was stopped cold. And I had to retreat to a corner to think. 2016 has been an awful year. It’s a refrain we’ve heard a lot. It’s a feeling I’ve felt for a range of personal reasons, too. And, as a playwright, it’s been a tough year for me as well. Writers learn to live with rejection, it’s true. But sometimes, many times, it’s hard to withstand a series of knockbacks. Hard to keep going when you don’t even know if you came close or missed by miles. Writing is a passion and I’ll keep doing it always, but it’s difficult to progress if you don’t know if you’ve made a great stride forward or inched slowly ahead. Or if the rejection is a step backward or a stumble. I haven’t written anything for the stage all year until this week. Now, to be clear, as a writer, I try my hand at different things and I have co-written a feature screenplay and the first draft of a pilot script for a TV show in 2016. So, it’s not like I’ve been slacking off. I’ve also written a couple of applications pitching a theatre show or two. And that’s part of my life as a writer. Applications for festivals. For grants. For funding. For interest in my work. But every time I send off, even a query email to someone I know asking “Any chance you could read this for me,” I could be met with a rejection. But I haven’t written anything for the stage this year until I sat in the mezzanine of the Malthouse foyer yesterday and while I ate my lunch, I wrote a couple of pages of a new play. Just to get an idea down. To find a way through that door. Or onto that road. To get a sense of who these characters were that had been standing just outside my periphery, trying to get my attention. It’s not that I haven’t been excited by some of the works I’ve seen on stage this year. This is the year of Picnic at Hanging Rock, Elegy, Lungs, The Events, revisiting The Glass Menagerie and wrestling Adrienne Truscott. But, overall, I haven’t felt a palpable sense of excitement around theatre in Melbourne this year. Maybe I’ve missed the best of the best. Maybe I’m not hearing things on the grapevine. Maybe 2016 really is so awful, I can’t even escape into brilliant theatre. 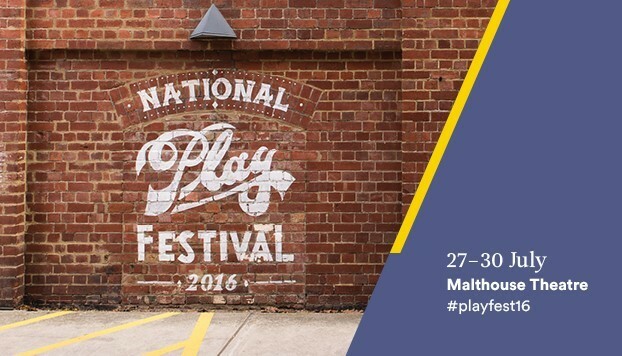 Today, as the National Play Festival wrapped up for 2016 (and did I hear it’s going biennial now? ), I left early to attend a reading of a play of my own. It’s called A Modern Superwoman. I’ve been working on it (off and on) for years. A lot of years. I keep forgetting how long. It’s been so long, I almost put it behind me this year. Sometimes you just have to put things behind you and move on. I’ve heard this play read in Melbourne and Adelaide and New York City. I’ve written and re-written and re-structured this play nearly a dozen times. But today it clicked. It finally clicked. Having had some time away from it, I finally saw it clearly; what was working and what wasn’t working. It’s been a slow process, but it’s always been inching forward. Never stumbling back. This week: I saw Amanda Muggleton on stage, twenty-five years after I first saw her in a one-woman show; I sat in a masterclass run by Michael Gow, whose work I studied in high school; I listened to exciting new works being read aloud in one of the country’s best theatre; I took pages of notes on the wisdom imparted by professionals; I heard a playwright give a eulogy to her father and her career; and I finally saw a way to make a play of mine work, while taking tentative steps to writing a new one. I haven’t written on this blog all year. This week, of all the weeks in 2016 so far, I had to write something. And when I have to write something, I start to write a lot.